I have an art show in Montreal's best Vegan restaurant, Aux Vivres. 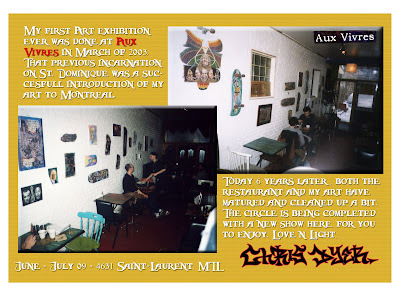 This was the spot where I did my first art show ever, back in 2003. So it's a full circle event and I hope you enjoy. All June n July. Saint Laurent 4631.